Laurel leaf tiara owned by Marie Bonaparte. Cartier Paris (1907). Platinum and diamonds. The Denver Botanic Gardens announced renowned glass artist Dale Chihuly will design a new piece titled “Colorado” for its permanent collection. Downtown Aurora Visual Art’s (DAVA) Job Training in the Arts is one of 12 after-school programs in the country to receive a 2014 National Arts and Humanities Youth Program Award. CPR arts editor Chloe Veltman spoke with DAVA executive director Susan Jenson about the significance of receiving the accolade from First Lady Michelle Obama. 61-year-old Allegra “Happy” Haynes of Denver shared a time she stood up for something she believed in. Haynes story is one of several narratives that inspired the new student-led play, “If Not Us,” which premieres this week at East High School. 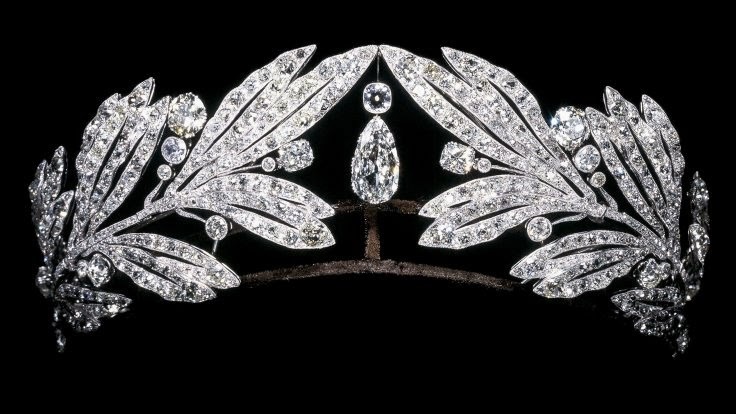 A new exhibition featuring the jewels crafted by Cartier opens this weekend at the Denver Art Museum (DAM). CPR arts editor Chloe Veltman spoke with the exhibition's curator, Margaret Young-Sánchez, who shared stories about some of the jeweler’s famous clients. CPR’s Arts Bureau broke down the results compiled from its survey into how adventurous Colorado audiences are when it comes to attending new or unfamiliar cultural events. Arts happenings around Colorado this weekend: CPR’s Arts Bureau spotlights this weekend’s Colorado cultural events, including the 37th annual Starz Denver Film Festival and a three-day live audiovisual performance festival in Boulder.